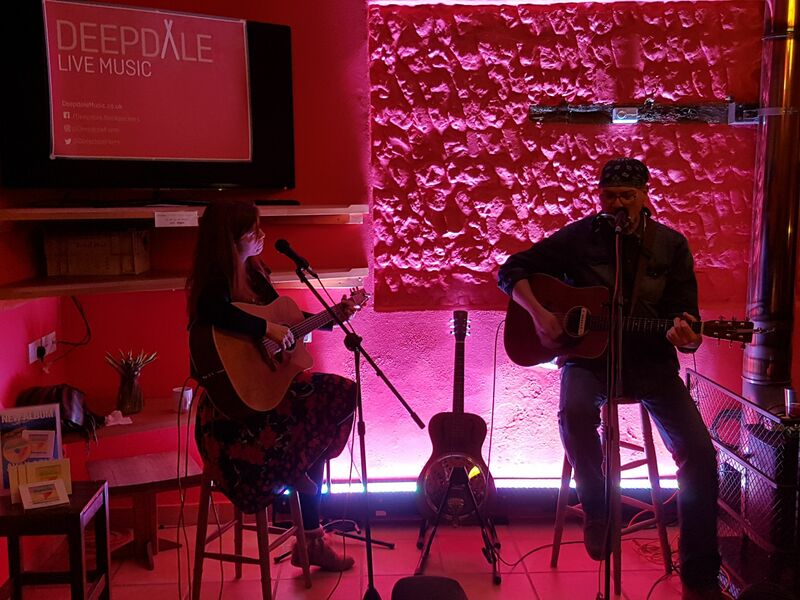 It was a lovely evening last Sunday, when we hosted YveMaryB and Tony Brook for our monthly Sunday Session. Thank you to both of them for playing and producing such an enjoyable evening. There’s something very special about our winter sessions in the intimate surroundings of the backpackers hostel sitting room, which was expertly helped by these two country folksy bluesy song writers. As a duo they are known as Gypsy Candlestick. Huge thanks to our sound guy and all round wizard, Tim, whose amazing skills really enhance the already superb artists we host.